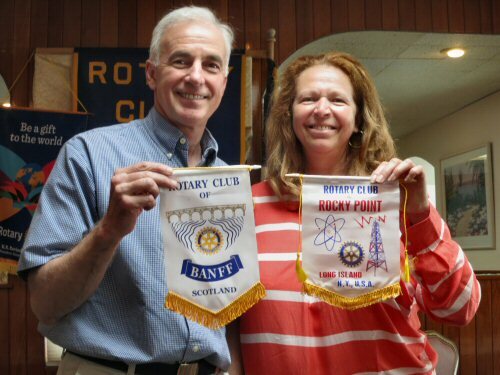 On Tuesday, July 14, Rocky Point Rotary welcomed Jan Emery of the Banff Rotary of Scotland. Jan is visiting the US this summer and took time out of her busy travel schedule to join the Rocky Point Rotary at its weekly meeting. It was an honor and a privilege to get to meet Jan. Pictured below are past president Lee McAllister and Banff Rotarian Jan Emery.